[updated] Paris announces traffic control measures for Monday 17 March. Vehicles strictly limited. Does not apply to foreign-registered cars and vans. Parking is free. Could be extended for the rest of the week. UPDATE: ‘alternate number plate’ traffic restrictions will be lifted as of midnight tonight (Monday) as pollution levels have fallen. It’s not clear yet whether speed limits in the entire Ile de France region will be restored, see below. 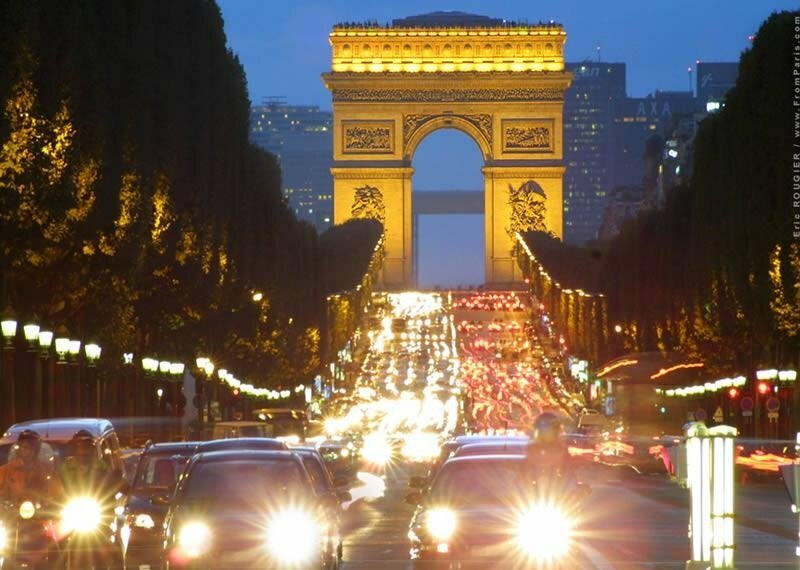 The traffic control measures in Paris tomorrow do not apply to foreign registered cars and vans under 3.5t. In a bid to control ‘dangerously high pollution’, from 05:30 tomorrow (Monday, 17 March), only vehicles with registration plates ending in odd numbers will be allowed into Paris and its suburbs. Paris authorities say they will decide on Monday whether to extend the restrictions. The areas covered extends to the ‘inner ring’ of the Ile de France region, namely Paris itself, Hauts de Seine (west), Val de Marne (south east) and Seine Saint Denis (north east). According to AFP on Monday, 700 police officers will man 60 checkpoints around the city to enforce the rules. Parking is free. The system ‘Circulation Alternee’ is already established in the city and was last used in 1997. It means that only vehicles ending in even numbers are allowed to drive on even dates, and odd numbers on odd dates. So, Monday 17 March sees only odd numbered plates. However, says the British Embassy, @UKinFrance, the rules do not apply to foreign registered vehicles. All vehicles over 3.5t are however prohibited. Electric vehicles and those carrying three people or more are also exempt, as are some classed as essential. These measures are in addition to those in place since last week in the whole Ile-de-France region. Speed limits are reduced from 130>110kmh, 110>90kph, 90>70kph and 60kph on the Peripherique. Trucks over 7.5t+ have been advised to avoid the region, or be ready to follow diversion signs. Similar restrictions are possible in other parts of France – notably the north and east of the country – but also in cities Lyon, Marseilles, Lille, Caen, Rouen, Reims, Grenoble and probably others. The arrangements could change. For the latest see @UKinFrance on Twitter – or see the website. For the latest news in English see www.thelocal.fr, @TheLocalFr or @AFP. Also see www.paris.fr (French only).